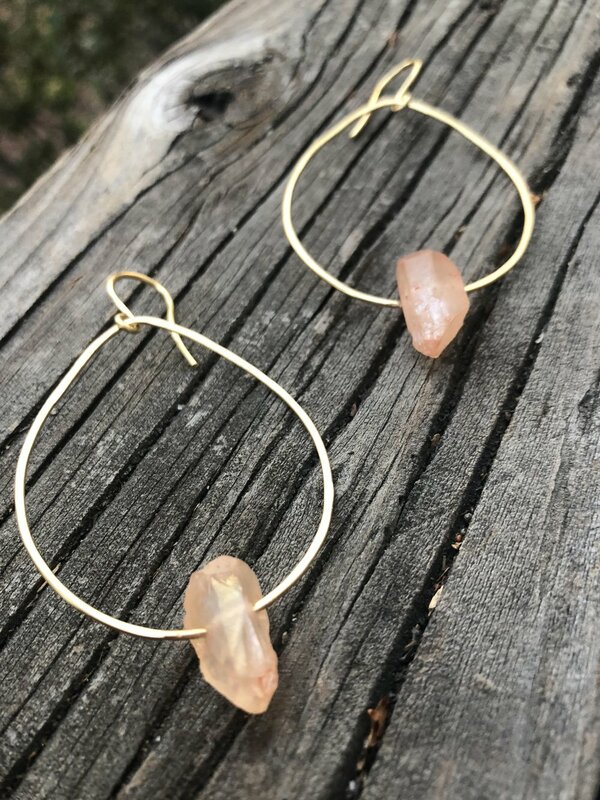 Learn to make elegant brass and crystal hoops in this beginner friendly 2 hour workshop. If you have drilled stones/beads/crystals you’d like to make into earrings, you are welcome to bring those, however a beautiful selection will be provided. 2 pairs of earrings! A pair of brass earrings and a pair of crystal hoops. Rhiannon has been making jewelry for as long as she can remember. Jewelry making has always been a way to escape from her everyday life. By using her hands, she accesses a higher level of focus and creativity that allows her to better connect to herself. She looks forward to sharing this art with others!